If you’re anything like me, you probably have a bunch of TV shows you are a fan of. However, sometimes it becomes hard to simply keep track of all of them. What’s coming up, what’s going away, at what time it airs, if it will get a new season, and so on. So, why not let your phone or tablet handle that for you? Today, we’ll show you how to do just that, allowing you to keep track of your favorite TV shows, find out when they are on, and notify you when they are airing, along with retrieving any information about it, such as cast and synopsis. 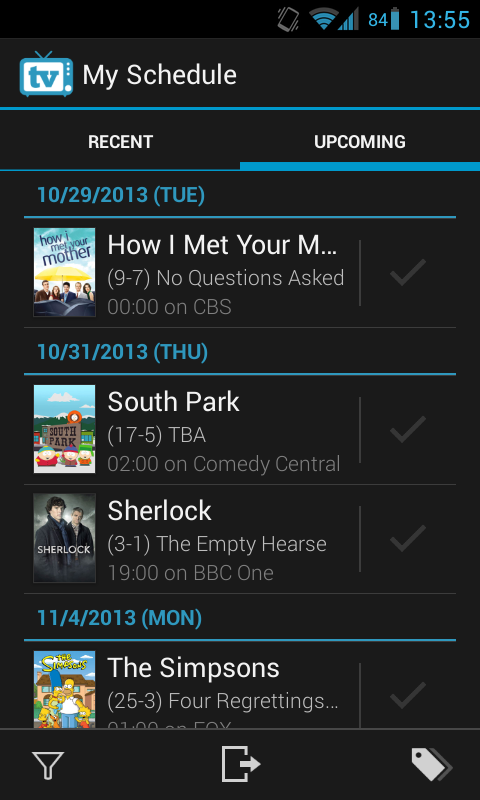 An interactive TV Guide in your pocket! Care to find out how? Read on ahead to find out! 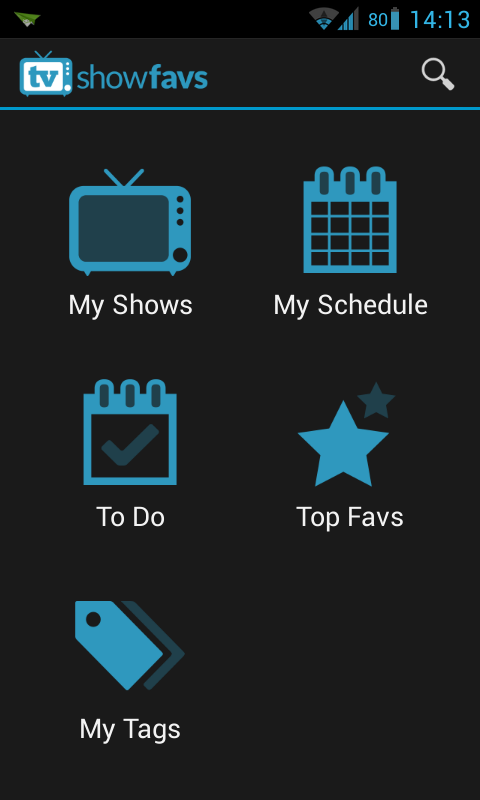 TV Show Favs is a handy little app that will help you with this task. It keeps track of information from various shows and lets you know whenever something that interests you is coming on or has been aired. 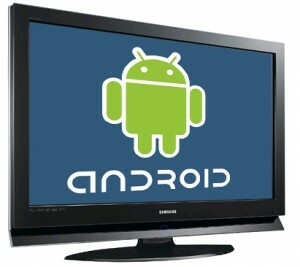 If you’re interested in it, just click this link and head onto the Play Store to get it. Open the app, and it will prompt you to create an account. This account will be associated with the service and keep track of all your data on the cloud, so it will always be backed up and you’ll be able to sync it between devices. Do as it requests, and make an account. 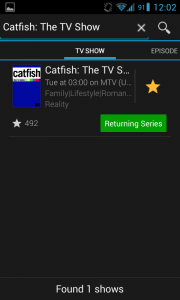 In this view, you can also access all kind of information about cast, rating and so on. The little ticker at the bottom also allows you to easily go back or forward an episode. 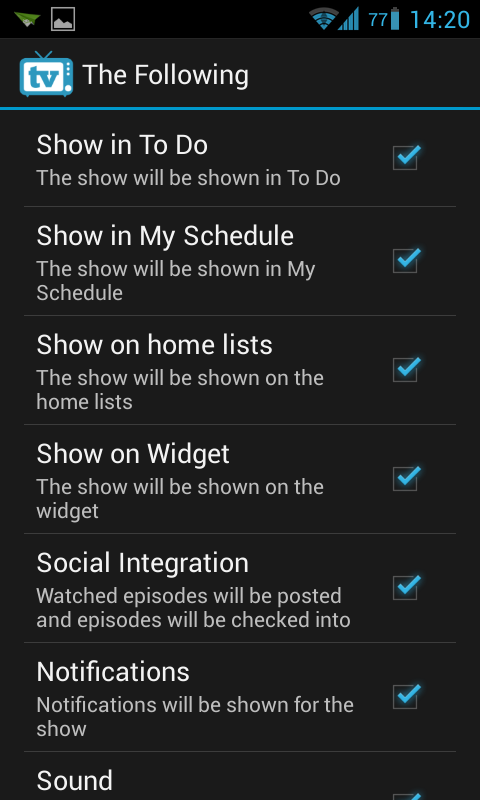 In the “My Schedule” section, you’ll be able to see upcoming episodes of every show you have starred. It’s a really handy way to keep track of what’s coming up, or knowing when a series is about to end. Pretty neat! In the “To Do” section, you can track your progress with each of the series you have starred. 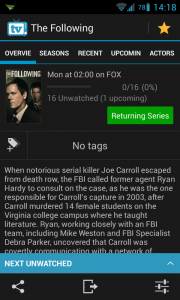 It shows up as a percentage, and it is updated every time you mark an episode as being watched. 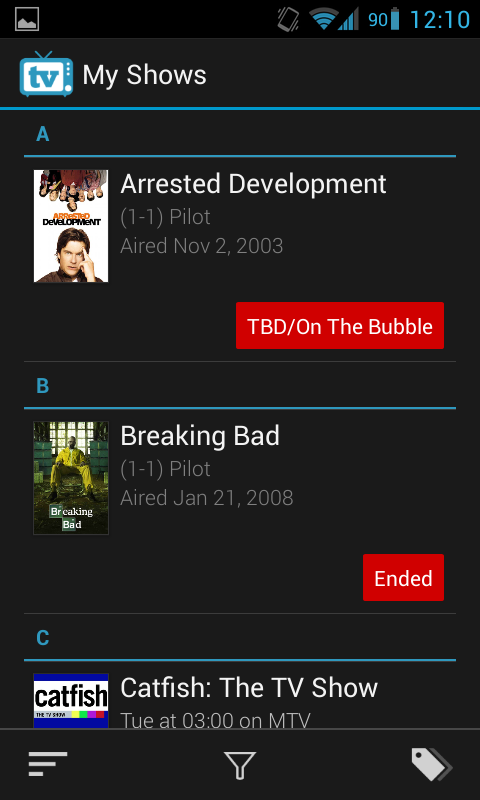 Of course, it’s not very useful for tons of legacy series which you have kept up with before stumbling upon this app, but since you can mark whole seasons as being watched by long pressing an episode, you can keep it up to date and work from there. 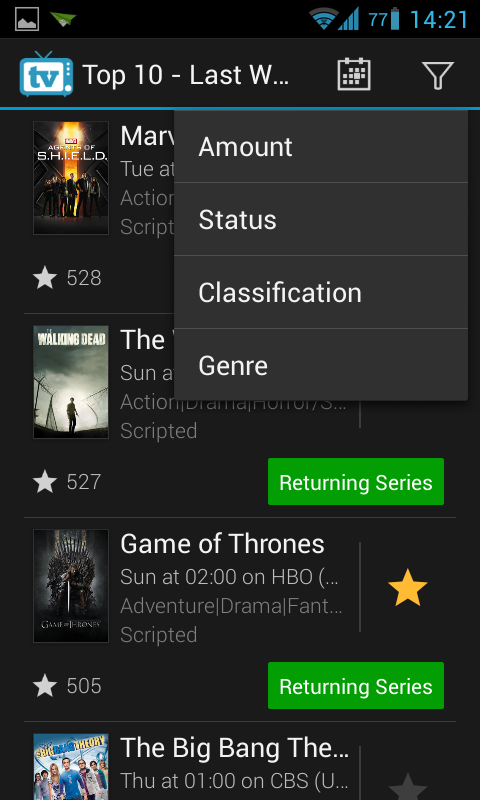 The “Top Favs” section simply lets you know what series have been the most starred by the app users, allowing you to choose between time periods and several filters, such as genre. It’s a really nice way to discover new things to watch and see what shows are popular right now, or on their way to being the next big thing. 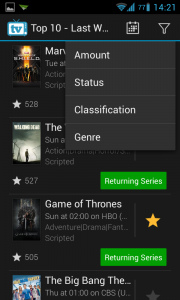 At last, the “My Tags” section allows you to create and assign tags to your starred shows. To assign a tag you have created, just find the show through the “My Shows” section and long press on the series name to assign it a tag. 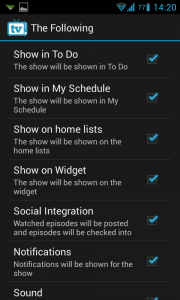 And with all this, you show have a pretty reliable and comprehensive tool for keeping track of your shows. 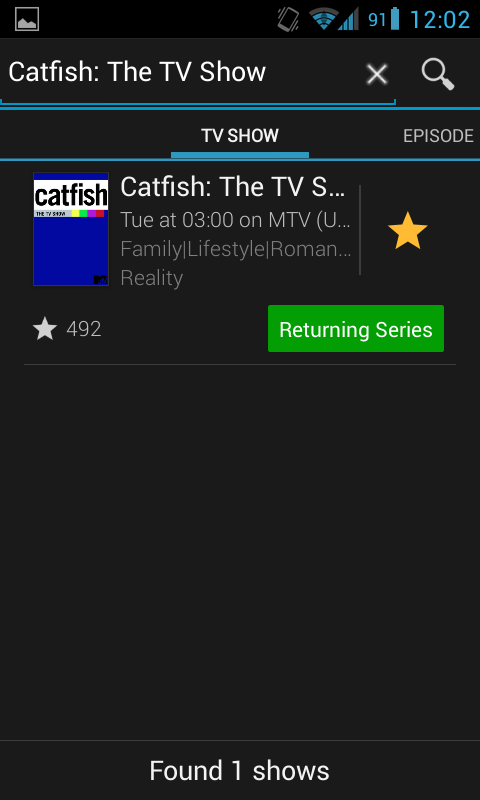 I should mention, this awesome app not only includes the usual american, big network shows, but also has anime titles and old series. Chances are, if you want to keep track of it, it’s there. It’s also regularly updated and there are optional themes for it, and you can see the developer takes care of the app and pays it the necessary amount of attention by updating the content as it’s airing or is announced. 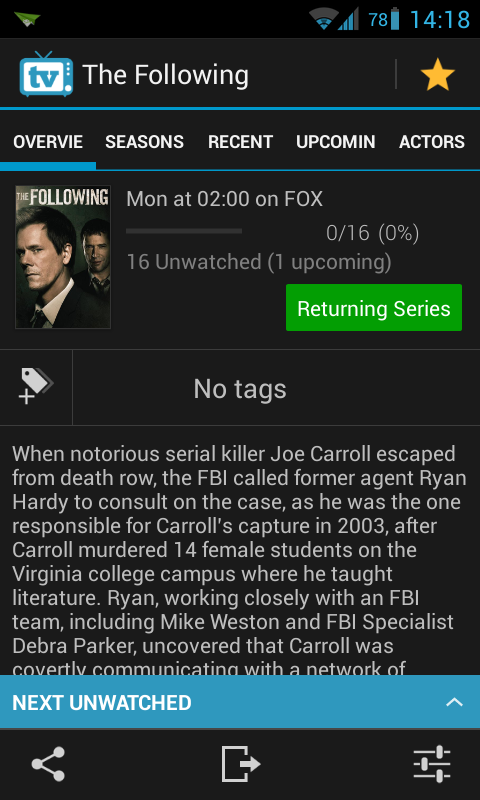 It has become my go-to tool for tracking my shows, and notification support really makes a world of difference and lets me know of what to DVR and wait for in advance. What do you use to keep track of your shows? Let us know in the comment section below! 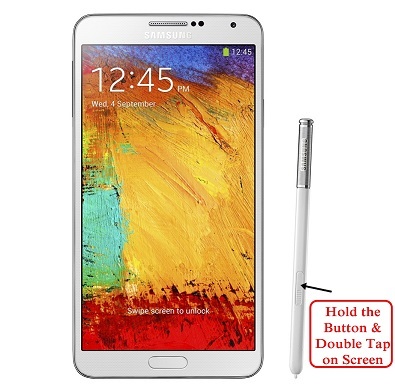 Previous post How to take a screenshot on the Samsung Galaxy Note 3 (free - no app required!) 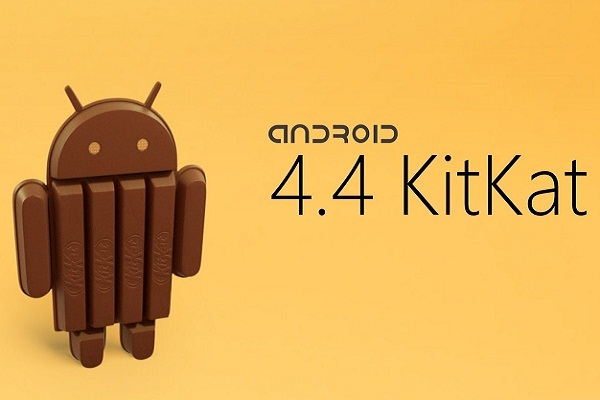 Next post Android 4.4 KitKat and Nexus 5 Finally Revealed!